Aye, matey, 'tis time to set sail on the seas of spring! Warmer weather is on the horizon, and with it, the opportunity to show off your tootsies! 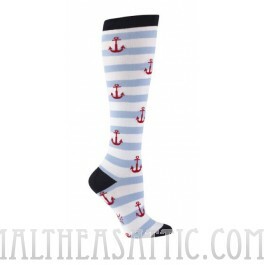 Pop on these adorable striped socks to put a little fun in your step! Perfect for those rockabilly gals.